I was in Barrymore Theatre today catching "The Curious Incident of the Dog in the Night-Time" with my 2for1 Broadway Week tickets when I saw a picture of a question from this book. It shocked & amused me. I felt compelled to forgo a good night sleep & immediately wrote about it when I got home. I've been cetak rompaked, featured offline/online, & randomly uploaded onto a viral photo album. But, never in my wildest dreams, would I have conjured up the fantasy of being in a model question module! HOHOHO!! Monumental! Thousands of students from over Malaysia will spend an incredibly significant amount of time, 5 seconds, thinking about what I've done!! HOHOHO!! Can I recruit them to be unbelievable teachers with TFM? Maybe I can ask them for a 30th birthday gift? Oh, don't bother trying to Google or Facebook search for the author because she does not exist online. Believe me. I've tried all sorts of internet wizardry. However, I did find out that she's a prominent writer of textbooks & reference books. If you have her personal contact information, ask her permission & do contact me. I've yet to obtain this from my personal contacts. I would love to send her something from New York. 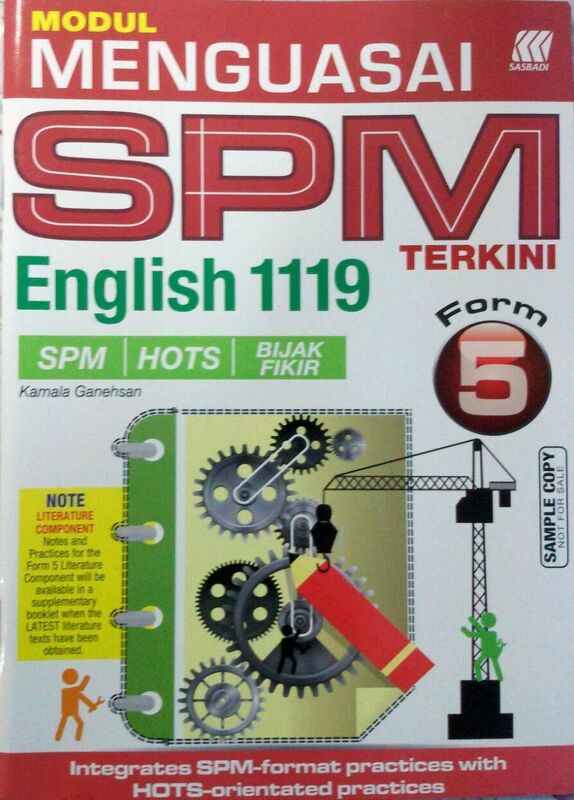 If you're looking for 1119 model questions, BUY THIS MODULE!! !